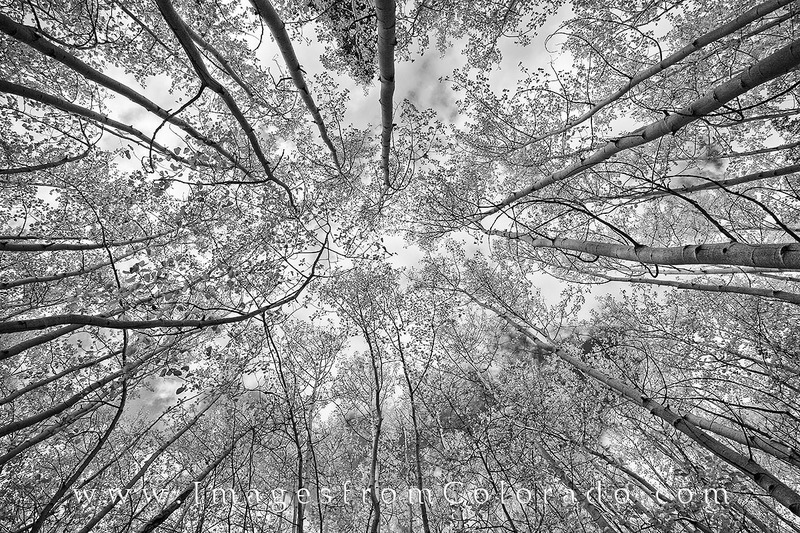 Looking up towards the sky, this black and white Colorado image shows Aspen trunks, branches, and leaves as these beautiful trees reach upwards. This photograph was taken on a cool, crisp September afternoon. Photo © copyright by Rob Greebon.